Our office is located in Quincy, Illinois - an All-American city with All-American values. 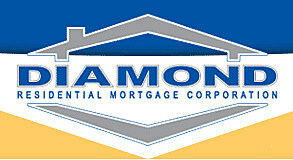 At Diamond Residential Mortgage Corp, we are committed to providing professional, courteous, and timely service. Our staff has over 30 years of experience in the mortgage industry, and we will use our knowledge and expertise to help you find the perfect loan program for you. In Quincy and the surrounding area we are considered experts when it comes to doing FHA, VA, and Rural Development loans. The Quincy staff of Diamond Residential Mortgage is committed to you. It is not just a transaction; we care. Robin Hessling, your Mortgage Expert. Read More.